Top 15 climate scientists: consensus and skeptics | Climate Etc. This is rather astonishing, kudos to Best Schools for putting this together. Simply stated, we maintain that appeals to authority and scurrilous ad hominem attacks are no substitute for rational argument. We also hold that what is sauce for the goose is sauce for the gander. This means, among other things, that mainstream climate scientists who roundly condemn climate skeptics for seeking support from private industry ought to be a bit more circumspect, seeing that they themselves receive millions in financial backing from government agencies. The tacit assumption behind their indignation — that only private actors have material interests, while public actors are by definition impartial seekers after truth — simply won’t wash. We strongly suspect that in, say, 100 years’ time, when (we hope!) scholars will be in a position to investigate this whole disgraceful episode in the history of science more objectively, they will find plenty of blame to go around. Our position is simple. It is the classical liberal one. Drumroll. Cue the shade of Voltaire: “I disagree with what you say, but I will defend to the death your right to say it.” Why should I defend someone else’s freedom to say what I myself believe to be wrong? Because the truth is one thing, my knowledge of it is something else. And because this means that the essence of rational inquiry is intellectual humility. And also because the slow and painful advance towards truth is best served by the open and honest airing of disagreement. For all of these reasons, we deplore all attempts to use political muscle to shut down academic debate. Perhaps our liberal take on the ethics of inquiry has become unfashionable in this postmodern age. To which we respond: So much the worse for intellectual fashion. I am very impressed by this article, and very thoughtful biosketches for each are included. Your thoughts on the list? This entry was posted in Skeptics. Bookmark the permalink. Paid by a university to research vs paid by an oil company. Seems like people are still thinking that “government” scientists are told what conclusions to come to. Absurd. What is absurd is your ignorance about how research is conducted. If there is money available for certain conclusions those conclusions will be forthcoming. There is very little research conducted that doesn’t have a desired outcome. Bias is the norm. Now THAT is ignorance. You clearly have no clue how research is conducted. The first person or group to prove that the earth is not warming or that CO2 is not the primary forcing would be greeted with fame and fortune. Look into how research is conducted. g1, precisely what I meant to say. That statement is a mirror for you. I was mentored by a PHD brother in law who taught me not to believe research conclusions because you can design a study to prove anything you want. He told me many stories of big research projects funded by the government that weren’t published because the authors wouldn’t change the conclusions to what was desired. The ones willing to play ball got published. Your straw man about warming and CO2 is just silly. There is a substantial peer reviewed literature about how biased government funded research is in both outcome and in who gets the money. There is even a study saying if all scientists just got their grants it would cost the government less than maintaining the massive bureaucratic monstrosity that is the grant agency NSERC in Canada that funds only small % of all scientists who apply. You are the one who is utterly absurd in your ignorance. No, he wasn’t. He, and the other 30,000, were met with ad hominem attacks, ridicule, and shunning. Proper science is not done to reach a conclusion, but to disprove an hypothesis. What little science has been done on global warming, has largely disproven the hypothesis that CO2 is the prime mover. Even the most die-hard warmists rely on the crutch of amplification via water vapor. And, of course, water vapor has both warming and cooling attributes. Charles Darwin was on the list for years before they spotted it. The first doctor I found in Pennsylvania was a gynecologist. That assignment is an easier task than the converse given voluminous work on historical warm periods. When the AMO flips and the arctic sea ice extent catches up to the arctic sea ice volume recovery, the embarrassment of it all will send warmists looking for paper sacks to wear over their heads. Not much in the way of observational evidence will be left for the complicit MSM to use in their hysterical articles. At that point the only thing left will be the failed Hansen prediction of West Manhattan being submerged . > The first person or group to prove that the earth is not warming or that CO2 is not the primary forcing would be greeted with fame and fortune. He’d never be funded in the first place. They are funded all the time. They are called scientists, and they are funded to perform science. This may sound odd to most on this site, but it’s true. Unless you are Heartland, you are looking for answers, not trying to bend public opinion. If you find another answer than the others, it is tested again. If it fails, it is rejected. When the AMO flips and the arctic sea ice extent catches up to the arctic sea ice volume recovery, the embarrassment of it all will send warmists looking for paper sacks to wear over their heads. You believe in a fairytale. You duck the point. No government climate scientist that looked like he might falsify the consensus would have much chance of getting funded, since that hurts government’s self interest. You need to start looking into how research is funded. If they have “science” in their name, children, it means they are following the scientific method. A very naive understanding of the social construction of knowledge and an idealistic view of the scientific endeavor within the social constructs that necessarily bound it– to say nothing of personal departures from ethical standards. 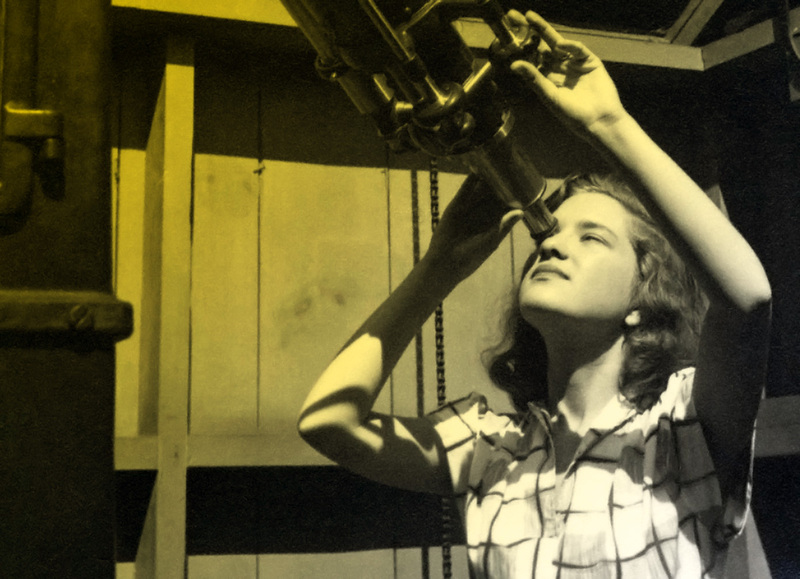 The same biases that affect who gets grants apply to who gets published in certain fields. Google “pal review”. just look at who the government provides funding too. the vast majority are those who support anthropogenic climate change. they aren’t told what conclusion to come to, but their funding would dry up if it didn’t support what the government was seeking. Absolutely. There are also multiple examples of science not being funded until scientists find a way to link it to climate change even if the linkage is tenuous and irrational. The best example I can think of is a recent flurry of concern in the media about Canadian volcanoes becoming active because their ice caps are in danger of melting due to climate change. Wow have to fund that right? The Oregon petition was infiltrated by a handful of dishonest, conniving greens. And you provide them cover by using them as a source of ridicule. That makes you as dishonest as them. Really? That sounds vindictive. They simply allowed anyone to “sign” and that included mathematicians, teachers, and concert singers. Hardly vindictive, a known fact. They enabled people with credentials to sign the petition. It wasn’t the credentialed majority that were dishonest, it was the unprincipled minority who were dishonest. I wonder if you could have signed that document under those circumstances. Just what are your credentials? Are they better than a gynaecologist? And I wonder if you would answer that question honestly, being that you cite a few unprincipled liars as your defence against honest scientists. Seems somebody failed to do their due diligence and wound up with a mockery of their petition. I’m still waiting for both. But no one cares, most don’t even understand nonlinear systems, or why variable cooling rates matter. You are mangling the meaning of what they are saying; are you not aware of this? or is it deliberate? There are different influences at play here that may bias either camp, and that is all thebestschools.org are saying. You have taken that to mean that they are saying scientists on the public payroll will come to the conclusions that government wants; but they did not say that; you did. They did not specify what the influences might be, but an obvious one is that scientists will be less likely to research unforced internal variation because government is less interested in that so are less likely to finance that research. You also imply that scientists that receive funding commercially are biased, where most are not. We know scientists can be biased by where the money comes from: tame scientists for the tobacco companies is the usual trope (which I presume has some accuracy). But there are numerous examples on the public funded side as well: the shenanigans of the Sheffield Alcohol Research Group, particularly in the UK Alcohol Guidelines, is well documented. Another corruption of science is to continue getting grants for methods that don’t work even though they have been disproven. In Cargo Cult Science, Noble Laureate Richard Feynman details how researcher Young painstakingly studied and found all the ways rats could find food and invalidate rat maze experiments. That is the experiment that makes rat‑running experiments sensible, because it uncovers the clues that the rat is really using—not what you think it’s using. And that is the experiment that tells exactly what conditions you have to use in order to be careful and control everything in an experiment with rat‑running. I looked into the subsequent history of this research. The subsequent experiment, and the one after that, never referred to Mr. Young. They never used any of his criteria of putting the corridor on sand, or being very careful. They just went right on running rats in the same old way, and paid no attention to the great discoveries of Mr. Young, and his papers are not referred to, because he didn’t discover anything about the rats. In fact, he discovered all the things you have to do to discover something about rats. But not paying attention to experiments like that is a characteristic of Cargo Cult Science. How are you not similarly refusing to acknowledge all the ways climate scientists scam government research grants by pal review, gatekeeping, denigration, corruption, withholding tenure, firing etc? I’ve been involved in organizing research projects which linked private funding as well as government funding and joint personnel (the government personnel was mostly from the Los Álamos weapons lab). My impression is that when it comes to fields such as pure computational fluid dynamics there was no political meddling, but areas related to the climate field became very political over time, and were too hot to touch under Obama. This gave us the opportunity to recruit a few scientists from government labs who were tired of the political environment. This is a false flag argument you are bringing of the evils of business versus the inherent goodness of government. Both are populated by humans and both respond to various pressures and incentives, but sadly neither are to be relied upon and much be held account by its citizens and customers repsectively. We hear daily about corruption in government and yet someone would claim that government money is “pure”? If you follow the cause, not just the source of the money, certainly oil companies have a vested interest (note oil companies are heavily invested in green energy too, so this will become more complex over time) but the governments and the laws proposed to combat climate change do not accompish the alledged mission, i.e. instead all they do is bring more power to central govermnent and the allow the excuse of more crony distribution of wealth that they could otherwise convince the populace. These are the essential motivations of government and therefore it is easily concluded why they are just as biased as any other funding. The truth can be seen by examining the laws enacted or proposed, in detail. The only way for all of us to truly understand the truth is for all the facts and research be published, examined and tested according to the methods we have always advanced science. Not ad hominem attacks on research merely based on the source of funding or some other intellectually poor method of attck. Address the science and the facts, there is no value to anyone to attack the person or the funding or whatever other angle to justify your position. No sooner does Best Schools makes their point, you rush to prove it. Every hateful comment made by those of the “consensus” side proves there is something amiss with the consensus’s character. It is certainly not science. Poor character must be challenged. It is not what ALL the scientists that determine the stance taken; it is the organization of gathering of the final lot of scientists with their particular traits and biases (that we all have) that accumulate in to that final lot. An organization by methods of hiring and promotion can achieve a “mob” of scientists who agree based on working or getting fired or keeping your well paid job. It would seem that when a “consensus” scientist insults a skeptic – he or she gets a gold star from the “consensus”. Much like a Breeding Reactor. Exactly. For an organization like Heartland, remember that they only recently stopped telling us that smoking was OK for you, and even more recently stopped saying that second-hand smoke was just fine. Much of the misinformation comes directly from this one organization. The only research designed to end the we-they of other climate research was BEST, but we all know what happened with that. You get the Koch brothers to fund some “skeptics” (or in the case of Muller, some outright denial, see his earlier videos) and see if they maintain their science creds. They did, and the results were mundane. They proved that the graphs of ground stations from all other major organizations were proper, that rural areas were warming at the same rate as urban areas, and the best ranked stations showed the same warming as all other stations combined. It’s hard to fake science when you’re a real scientist without an agenda. It’s easy when you’re paid by Heartland to come to a conclusion. It is easy to fake science with Pal Review, biased grant agencies, and buddies in the media who repeat everything you say verbatim. However it is easy to eventually spot the fakes. They refuse to fully disclose their data and they use tools like suing their critics to silence them or threatening them with RICO type government action. It takes time though before the symptoms appear, usually decades to totally root the fake science out. Funny that the only empirical manifestation of increased atmospheric CO2 has been the greening of the planet by 14%. So far, your hysterical arm waving has produced no observable negatives directly associated with increased atmospheric CO2 other than failing computer predictions. If you wan’t to start comparing ridiculous quotes from scientists, why not start with Ehrlich and his 1968 book ‘The population bomb’ where he advocated sterilising Indian peasants? Thankfully sceptics have emerged as humanitarians, whilst organisations like The Club of Rome promote climate change as the solution to over population, basically by starving the poverty stricken. 120,000,000 people in the developing world will die prematurely by 2050 (32 years away) because they are forced to heat and cook with wood and animal dung. Cheap fossil fuel derived electricity could have stopped that, but you are to afraid of your own existence to allow them what you benefit from. Greenpeace is stopping the distribution of golden rice in developing countries, and 2,000,000 people a year go blind before dying prematurely, mostly children, but for the simple supplement of vitamin A in golden rice. The concencus community are brutalist’s who will stop at nothing to impose their socialist ideals on the world, and you are one of them. It is also very easy to sit by your fireside, and assume that the BEST outcome was correct, without ever having done the hard yards to verify that outcome. After a decade of study of the global temperature problem in fine detail, it is easy to conclude that not just BEST, but the other ‘official’ sources like Hadley and GISS and NOAA, are steeped in poor science with extraordinary, untested assumptions about the need for, and the style of, their adjustments. These adjusted data sets is more likely to mislead the researcher, than assist. One easy proof, as we have done with Australian data, is to compare the modern version of regional temperatures with the top ‘official’ compendiums from the 1950s, in respected publications like the Commonwealth Year Book. When you come to this blog to comment, it is desirable to demonstrate that you know more about the topic than the authors of ‘peer reviewed’ publications of relevance and to show that you are not merely parroting a party line with your best attempt at verbal persuasive eloquence. Geoff. Michaels, Spencer, Peilke ( Jr. and Sr. )? It strikes me that we look to experts as if there is some unambiguous scientific breakthrough with respect to climate and AGW. But understanding the risks or lack of risks probably is better suited to a generalists who understands not only climate, physics, meteorology, oceanography, demographics, economics, etc. Global mean temperature is not a term in the equations of motion. Re ‘NOT alphabetical’. Both lists are in alphabetical order of surnames. The list is alphabetized by the person’s last name. Roy Spencer should be included. In the case of climate change, if you have a model that does not closely predict future empirically perceived phenomena, then you do not adequately understand those phenomena and your hypothesis remains theoretical. The Scientific Method states, unequivocally, that without a working model, hypotheses remain “educated guesses,” which are not proven theory. Nisbet does a nice job of explaining where climate catastrophe hysteria comes from in this item. http://climateshiftproject.org/nisbet-m-c-2014-engaging-in-science-policy-controversies-insights-from-the-u-s-debate-over-climate-change-handbook-of-the-public-communication-of-science-and-technology-2nd-edition-london-r/ Scroll past the photo of Roger Pielke Jr., see the obligatory references to Koch funding and Heartland, then get right into the meat. The ‘meat’ is “ClimateWorks” – 13 billionaire foundations who decided to make a sea change in the global economy. ” In 2006, several of the country’s wealthiest foundations hired a consulting firm to comprehensively survey the available scientific literature and to consult more than 150 leading climate change and energy experts. The result of this intensive undertaking was the 2007 report Design to Win: Philanthropy’s Role in the Fight Against Global Warming. One, if not the consulting firm, was McKinsey – reportedly earning some $42 million in consulting fees. And if you look at most government and major corporate consultants, even mayors (like Calgary, my home town) you will find the presence of McKinsey. Chair of UNPRI? Formerly with McKinsey. UNPRI was founded by? Lots of major pension funds and especially ACADEMIC pension funds. Maybe it is time universities themselves came clean about their vested interests in climate-related investments (i.e. UNPRI pushes the 2 degree C target and in their 2016 annual report, were proud that many signatories to the 2014 Montreal pledge had gone out to lobby corporations and governments to fall in line with the climate catastrophe view. I see comments here that are basically ad hominem attacks because they are aimed at discrediting others in ways that have nothing to do with scientific arguments. Anyone who thinks that the source of funding, whether private or government, has no influence on the research being done is naive. Governments are inherently political in nature and private organizations may have political agendas too. The point is not that the source of funding necessarily corrupts the conclusions of honest researchers so much as it influences what type of research gets funded. Anyone who has no doubts about either causes or effects of climate change is full of themselves. Science and skepticism go hand in hand. You cannot have one without the other when searching for truth. Having given advice at senior levels to the UK, Australian and Queensland governments, I can say with great confidence that government funding for any activity is determined by political requirements, and that those who choose to play along will get most support and funding. While I have worked for governments (notably that of Bob Hawke 1985-91) which genuinely had the broad public interest at heart, politics always remained a factor. Australia’s mad energy-reduction policies can only be explained by politicians continuing to play the dangerous warming game as they fear loss of office if they bell the cat and pull back. Did you know George Brownbill? There are many examples of Governments funding research with a clearly stated objective. Find a cure for melanoma. Design a mach-3 surface to air missile. Research electric cars for their future increase. It is but a small step to ‘Research the strongest reasons to promote global warming hypotheses’. It is not even wrong to do this; though it can be expensively misguided. Geoff. 1) There is no one on this planet who even remotely understands Earth’s climate systems or what drives climate changes. The subject is immensely complex and chaotic, with massive poorly understood variables like the Oceans, the sun, water vapor, clouds wind, gravitational pull, cosmic radiation, rotational spin,and many variables we don’t of yet know of. CO2 variations didn’t change the climate in the past, nor does it now. The 0.035% of CO2 in the atmosphere today, or the 2000ppm of yesteryear is completely overwhelmed by the massive variables mentioned. It will be at least two centuries before we understand even the basics, this area of research is in it’s early infancy. 2) If a person investigates the scientific literature and opinions of scientists studying this field on both sides of the debate, it becomes easy to make an informed decision as to which camp is most accurate and honest. “The best advice regarding scientific knowledge, which certainly applies to climate, came to me from Mr Mallory, my high school physics teacher. A note to Best Schools: Your Rationale for the debate is based on sound principles that have existed to protect the integrity of science as well as debate for centuries. Then, inexplicably, you throw it in the trashbin, and take sides. Setting up a biased debate in which one side gets more scientists to argue their points. 1 step forward, 2 steps back. Astonishing. To be fair, the consensus side does not have a good case supported by real data, they need more help, 10 to 5 may not be enough. popeclimatetheory, the point is that it’s very easy to set up a fair debate, so set one up. Or else stop pretending it’s fair. The world needs to see that we can muster ten on our side and that they can debate and know what they’re talking about and that they’re not afraid to speak up for the truth. I agree with hollybirtwistle. It’s also astonishing that some on our side say OK, ten to five, that’s fair, we don’t have a problem with that. I also find it very surprising that they would dare to put such a list. The degree of acceptance of heretical scientists must be growing. Of course, such lists are always a problem for the people they leave out. For example Willie Soon who has published so many articles on many different aspects of climatology. Congratulations for making it to two lists. You clearly deserve your position in both. Of the first list I like Manabe and Broecker best, although Wally managed to be wrong on his main theses, so history won’t be too kind to him. Ruddiman is highly controversial even for his side of the debate. Climate data show the chaotic heart of Wally’s beast pounding through woodland and savannah. It moves with immense power and speed across landscapes and oceans. It shifts suddenly and fiercely. 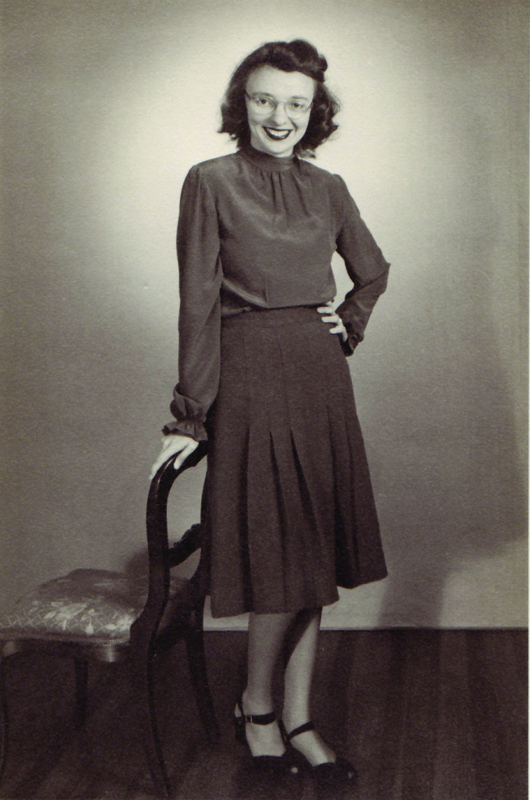 We ain’t seen fierce in the 20th century – we ain’t nothin’ yet. But what shall we do now with this wild and angry beast? There are approaches mooted – including shibboleths of neo-green-leftists – which are not worth worrying about. But there are a plurality of solutions to other problems each with intrinsic mitigation or sequestration potential. I can point to a couple of dozen off the top of the heads of Nobel laureate economists. I like to see it as part of a global mission to secure prosperous communities in vibrant and resilient landscapes this century. Out of curiosity, what makes Lennart Bengtsson a skeptical scientist? It is true that, late in life he dabbled with becoming an adviser to GWPF, and was involved with a paper that was rejected by a journal (not such a rare experience). But what actual science has he done that is said to support skeptic arguments? out of curiosity, why did they line up ten concencus scientists against five sceptics in the first place? And they included Phil Jones who every climate scientist must question following ClimateGate, and Michael Mann who’s hockey stick theory was deleted from IPCC reports, and who continues to refuse to provide data necessary to interrogate his theory, doesn’t he? That in itself condemns him as anti science, surely? “Michael Mann who’s hockey stick theory was deleted from IPCC reports, and who continues to refuse to provide data necessary to interrogate his theory, doesn’t he? That in itself condemns him as anti science, surely? Yes. None of those things are true. I understand that Tim Ball had a court case in Canada with Michael Mann, and Mann was held in contempt of court for not releasing his data. Or did I misunderstand that? and by your omission, I take it you agree that Phil Jones is hardly the most credible climate scientist on the list of fifteen? The fifth IPCC strengthened the standing of the hockey stick. And yet observational temperature measurements contradict it. You’ll have evidence to support that really, really idiotic statement? I mean, are alarmist scientist’s black and white in their opinions on the subject? Are sceptics similarly so? You have made, possibly, one of the most astonishingly ignorant statements on the subject of climate change I have ever witnessed. Yes, another misunderstanding. Or more likely, you read what you wanted to read and not what happened. I asked the question politely. The dignified answer would have been “Yes, another misunderstanding.” Or probably better, Yes, a misunderstanding. Which characterises you as vindictive. Mind you, most of your comments characterise you thus. The fact is, I was wrong. Mann wasn’t held in contempt of court, he simply used legal means to delay his requirement to provide the data until 2019. What did you think was found in “Climategate?” The science community knows what that was about, and it certainly was not about a misrepresentation of the science. Now you’re having a laugh. However you care to spin it, Phil Jones (amongst others) was as guilty as hell of scientific chicanery. It’s there in black and white and no matter what the courts say, every scientist knows he was up to his elbows in it. Yes. There is a court case, but the rest is untrue.. Your credibility rating in this thread is not high. Is it then true that Michael Mann has not disclosed his data, and the court case has been deferred until 2019? Sorry, but your snarling attack on my credibility on this thread reveals your petty contempt for anyone you don’t consider worthy of your intellect. My credibility is inconsequential, I’m a layman. My only means of learning is by gathering information, by questioning. You, on the other hand, are a learned man. That brings with it the unenviable task of advocacy, on my, and every other laymans behalf. Your job, if you think about it for a nanosecond, is to advocate for all us thick folks, research the science, draw conclusions, then report back to us with your results in plain language. We proles pay you, by whatever means, to act on our behalf. It may be through commerce, academia or direct taxes, but the common man pays you to get results. And I’m sorry, judging by your historic contempt for people you deem beneath you, you don’t deserve the qualifications you have, as you clearly perceive them as an elitist standard. If my credibility is in question on this blog, sadly, yours is in question from the uninformed masses who look to you for direction. They deserve your respect, not your contempt. Your credibility is in question because you keep repeating things that are just not true, and when challenged make no attempt to substantiate them. You don’t seem to care about the simple task of finding out what the evidence is before writing them. Are you saying then, it isn’t true that Michael Mann hasn’t revealed his data and the court case has been put off until 2019? That last question was badly put. Has Michael Mann revealed his data? Has the question of his data been deferred until 2019? No, it’s not. How about some actual facts. What “data” are you talking about? Who ordered what? And if the court case was put off, why? How does that reflect badly on Michael Mann, or his status as a scientist? It’s on record that Michael Mann didn’t provide essential data relative to his hockey stick graph when asked to by the court. Through legal means the court case has been deferred until 2019 when he will again be asked for that data. Irrespective of what specific data he withheld, it is pertinent enough to the court that the case was deferred until 2019 when that data will again be requested. Otherwise, a decision would have been made. 2) Question the basis on which science is founded. If I make my own hockey stick graph, in the opposite direction, is it only my lack of a scientific qualification that condemns my conclusions, or is it my data? 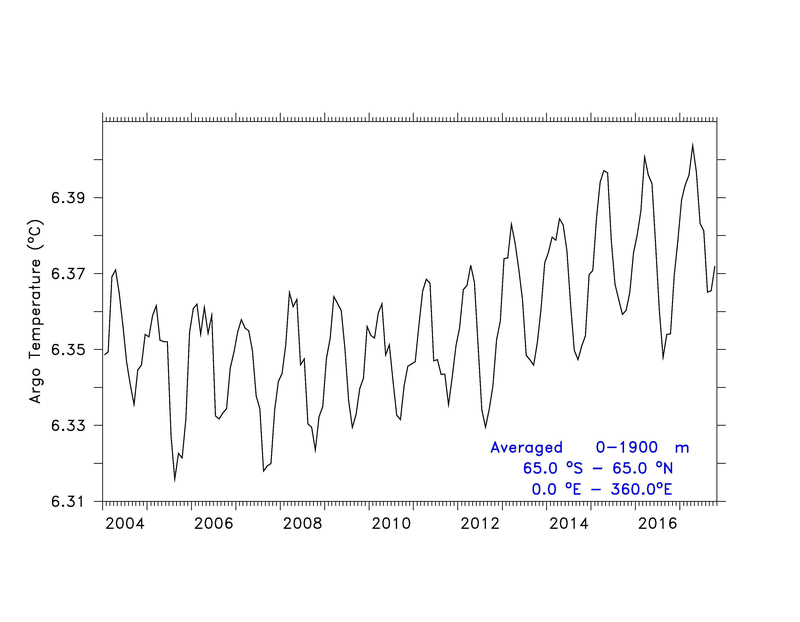 The case pits two climatologists – Michael Mann of Pennsylvania State University and Tim Ball, retired from the University of Winnipeg – in a dispute rooted in data Mann used in creating his famous, or infamous, “hockey stick” graph. In 1999, Mann was the lead author of a paper that used an assortment of statistical techniques to reconstruct variations in atmospheric temperatures over the past 1,000 years. 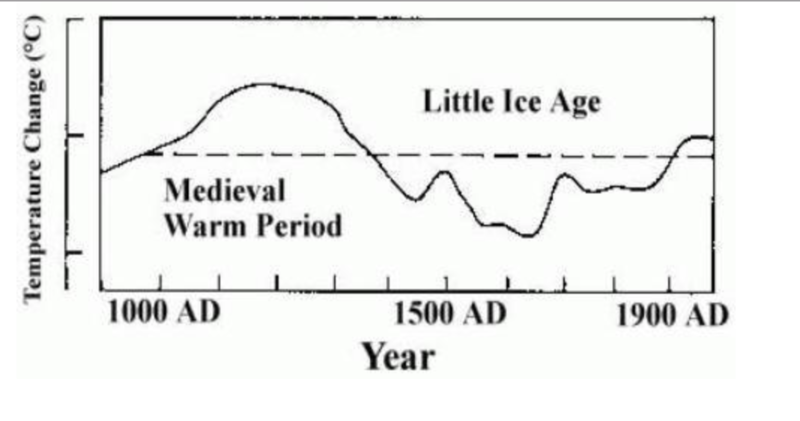 The graph made the Medieval Warm Period all but disappear and showed a sharp spike in temperatures at the end of the 20th century that resembled the blade of a hockey stick. Mann was one of eight lead authors of the “Observed Climate Variability and Change” chapter in the United Nations Intergovernmental Panel on Climate Change (IPCC) Third Scientific Assessment published in 2001. 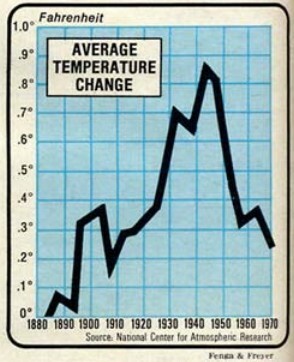 A graph based on Mann’s work was highlighted throughout the IPCC report. It received widespread publicity and was touted by climate alarmists as further evidence of manmade global warming. Indeed, Mann’s hockey stick took on a life of its own and was repeatedly cited by the IPCC and numerous governments as justifying collective action to combat climate change. The hockey stick has also been cited in innumerable peer-reviewed papers on climate change. One of those critics was Tim Ball. In a 2011 interview, he quipped that Mann “should be in the State Pen, not Penn State.” Mann sued Ball for defamation in British Columbia under a procedure known as a Strategic Lawsuit Against Public Participation (SLAPP). SLAPP lawsuits are intended to censor, intimidate, and silence critics by threatening them with the cost of a legal defense until they abandon their criticism. As the case unfolded, the BC Supreme Court directed Mann to turn over all data relating to his graph by Feb. 20, 2017. The deadline came and went without the data being handed over by Mann. Once the BC Supreme Court has ruled in his suit against Ball, Mann will have another legal battle on his hands. Mann filed a SLAPP lawsuit in Washington, D.C. against writer and commentator Mark Steyn after the latter wrote in a 2011 National Review Online article that Mann “has perverted the norms of science on an industrial scale.” Judith Curry, a recently retired climatologist at Georgia Tech, has submitted to the court an Amicus Curiae brief critical of Mann’s scientific methods. For his part, Ball has produced his own graph showing temperature variability over the past 1,000 years. Both the Medieval Warm Period and the following Little Ice Age can be seen on the graph. The graph also shows the gradual warming since the Little Ice Age, albeit to levels below what was experienced during the Medieval Warm Period. Unlike Mann, Ball has published the data on which his graph is based. CFACT is a wacko rightwing outfit, and not a reliable source on any of this. How about actual text of court orders? Note the 2017 headline – decision looms! But it didn’t. He did not. Dr Ball said he should be in jail, and Mann sued for libel in the normal way, as any citizen could. No order is quoted. I don’t believe the court made one. It is the defence claim that the data is central to the case, not supported by the court. The legal issue is simply libel (accusation of criminality), not paleo science. It is now over a year since the alleged deadline; if there had been a real court order transgressed, some thing would have happened by now. Here is a statement by Mann’s lawyer in the case, absolutely refuting this stuff, which comes from the ever unreliable John O’Sullivan. A reply is in moderation. Short version – CFACT is unreliable; refutation from the lawyer actually handling the case here. Nick, I went to your link and it just keeps going to a principia scientific after an initial few seconds of the lawyer response. Any remedy? I guess I can wait for your moderated response. That statement does not preclude Mann witholding data, simply that he is not in contempt of court. And so you can go on and on – there is always something he could be doing wrong. But you never produce specifics, let alone evidence – just whenever another silly story is knocked down, there could always be something else. In fact, Mann’s MBH98 data was public. Despite endless complaints, McIntyre and McKitrick were able, even by 2003, to redo the calculation with their corrections, including omitting some data, and still get very similar results (Fig 8). It was part of a much larger piece looking at the trend in temperatures over the centuries. Do YOU believe the Hockey stick version of events with that recent upward tick as he compares apples to oranges? Direct question. Please answer.. I do not have this intense dislike of Mann that some others do. I would say he is a fairly competent-but not great- scientist,who has made a name for himself and makes considerable efforts to remain at the top of the tree. Phil Jones wrote in 2004 that the 1730’s was the warmest decade on record until the 1990’s and that natural variability was much greater than he and others had previously realised. In this he was referring to European/American/Arctic temperatures and in particular CET. As you will know CET is a reasonable- but not perfect – proxy for Northern Hemisphere and perhaps Global temperatures. This is confirmed by numerous Climate scientists and the UK and Dutch Met offices. It is difficult to form any conclusion from looking at the vast amount of research, other than temperatures have been steadily warming since around 1695 with the biggest spike in the entire record from around 1695 to 1739. At one time the Met office believed the Mann data and on their website claimed that temperatures were relatively stable until the big spike in the 1880’s. They subsequently removed that claim some 8 or 9 years ago and their considered view (I have had several meetings with various of them) is of greater variability than previously thought. So is the Hockey stick misleading? Yes. Does it still have resonance? Yes. It was undoubtedly iconic but we have moved on from there. Natural variability on a large scale is real and caused various cold and warm periods. The cold periods such as the LIA being somewhat intermittent but intense, the warm ones lasting centuries, not always consistently warm but predominately so. Please answer my question above. Thanks. In other words, it’s a hockeystick (albeit a noisy one). I’ve no idea why Tony makes these claims over and over again, when they are very obviously directly contradicted by the data. Very odd. Yes. The point about the hockey stick is that we have an instrumental record indicating rapid rise in the last century or so, and we would like to know whether that is unusual. Proxies are a way of extending our knowledge of temperature back. The whole point of that is to see the two curves together. The essence of Mann’s result is that there wasn’t anything dramatic earlier, and that has been well replicated. So the HS is properly defined by combining the two curves, using instrumental post about 1920,. That summarises what we know. Of course, proxies are less certain. But the replication is pretty good. The basic deal is this. We have a long standing expectation that continued emission of CO2 will cause warming. So what do we see? Warming. So far, so good (for theory). But maybe it happened by chance? Even so, the fact that warming was expected and happened can’t be ignored. But we can look at the proxy record, which seems to say that historically, chance is unlikely. That is additional, not primary, backing for the theory. In talking of natural variability I gave a very specific time scale when we went from the depths of the LIA to the warmest decade until the 1990’s . This period was of such interest to Phil Jones that he specifically wrote an article about it. As did Hubert Lamb. Both acknowledged the remarkable degree of natural variability, with Phil Jones remarking it was greater than he had hitherto realised This comment as 1740 was a disastrously cold winter and came out of nowhere. You give a century long reading of the figures, then change it to a half century at the end. Unless your modelling and clairvoyancy is exceptionally good you can’t claim that the century period from 1958 will match the half century trend you note. we can see a long established warming trend, albeit with bumps along the way. We have records of previous warm periods in the Holocene, which in a previous thread you acknowledged you were unaware of. I also think glaciers will continue to melt as the amount of ice built up during the LIA was greater than in previous holocene periods. Glaciers during that period were historically extended compared to the periods that preceded it as numerous records compiled by such as ladurie demonstrate. The data contradicts your assertions. I was talking of a very specific period which is remarkable and well documented for its warmth then sudden collapse into extreme cold..
. You then launch into centuries and then truncate it to a half century and project current trends into the future. No, you also claimed something very specific about the whole period. The emboldened bit is false. You have never demonstrated this, you merely fit a straight line to the whole period. The only period in the record where temperatures are significantly above the mean is the last century or so. CET does not show “steady warming” over this period. It simply doesn’t. No matter how often you repeat it. Feel free to do any analysis you like; warming is NOT “steady” over the period however looked at. It’s noisy but pretty much stationary, then takes off over the last century. Your claim of “steady warming” is false. Remember, Mann’s ‘Nature Trick’ was not to hide actual temperature records, but to remove contradictory tree ring data because it just wouldn’t cooperate. A good example of motivated reasoning leading to motivated analysis. They should classify scientists by their guess of TCR and their willingness to give 4 to 1 odds that sea level won’t rise more than 20 cm (over the 2018 average) by mid-2050. This is the kind of flimsy pseudoscience that came into vogue in the mid-1990s when politics took over. Prior to that, even at the IPCC there was at least some acknowledgment that the human signal was very difficult to find, if it actually existed. Again, the sheer chutzpah. This is like characterizing the civil rights movement as “despite endless complaints, by the late 1960s most blacks were allowed to vote.” FOIA is not a step in the scientific method. And as McIntyre has pointed out, if you’re going to claim the modern period is unusual based on proxies, then you should use proxies to show that. And if the modern proxies don’t agree with the modern temps, you just use Mike’s Nature trick to hide them. Just utter and complete nonsense. The correct answer is the modern proxies, probably because of something mankind initiated, are broken until somebody, doing science, figures out how to adjust them so they agree with modern instruments. Although Tim Ball won his case against Weaver the Judge ruled that what he said was too ridiculous for any common person to believe. So he comes off looking like a lagoon. If his next two cases come off like that he will have won the battles but lost the war. Mann will look at enhanced stature … He couldn’t ask for more. In his case against Mark Styne may turn on Stynes first amendment rights. Once again Mann could lose but still maintain his stature. Mann really has nothing to lose IMO. So we know there’s a modern hockey stick because of the proxies, which don’t show a modern hockey stick. And we know the reconstructions we pulled out of the proxy spaghetti are accurate and reliable in the past, when there are no temperature readings to compare them to, even though they are broken in the modern era. And now please enact our multi-trillion-dollar plan to save the planet, and if you could jail our critics under RICO that would sure help too. That’s a far-left news site, mind you. Well that is an illogical statement to make. Are you saying the warm Minoan, roman and mwp never happened and the well documented rise that culminated in 1739 never happened as well? The 70 year old man graphic also demonstrates the steadily rising temperature Pretty well, which, as I said, had some bumps in it. The temperatures were not constant but highly variable as Phil jones and the met office appreciate. There’s nothing illogical at all. is false. And very obviously so by any analysis of the data. Indeed, a glance suffices. Why you insist on repeating something so obviously not supported by the data is a mystery. tallguy – Mann didn’t say he had a ‘trick’ to better estimate temperature. He said he had a trick to ‘hide the decline’. Science, aye? So accept it and the fact that that’s one of the so called top 15. You’re trying to pull 20 year old quotes out of context. Desperate stuff. Meanwhile, latest research: it’s still a hockeystick. Desperate? Just the truth about a ‘top 15 scientist’ – the topic of the post. You’re trying to deny that Mann concocted a trick to obscure the invalidity of his paper. That’s not unusual – motivated reasoning probably occurs in all of us, not as an exception but by the way human thought occurs. But it’s a reminder that Mann and probably everyone plays for a team. And we should hold all pronouncements and claims – especially forecasts – to account and remember what things are and what things are not verified and validated. but, as Nick points out, Mann didn’t say or do what you claim he did. Mann did a groundbreaking piece of research which has been built on and improved by others. Lots of people just don’t like the result. The current state of the art is PAGES 2k, see figure above. A hockey stick is no use unless the guy wielding it knows what he’s doing. Mann didn’t say or do what you claim he did. It’s clear from what Jones wrote that he discussed it with others. Mann was guilty of ignoring and even willfully hiding data which contradicted his thesis. The fact that you are in denial of this is indication of your own willingness to disregard evidence contrary to your position. This is normal for humans, but we should also call it out. Sticks aside, global mean temperature is not particularly interesting. Global mean temperature is not a particularly instructive number and certainly doesn’t validate wild claims of harm. A further untruth from you. There is no evidence that he told it to Jones. A lot of this far too lengthy back and forth is nit picking. The bottom line is that whoever spliced the instrumental record onto the proxy reconstruction and deleted the “decline” was abusing science. Mann has certainly endorsed all this very clearly and loudly many many times. As you know The controversy basically centred on the reliability of post 1960 tree material, initially at high altitudes. That it was considered unreliable after this date and should not be included in studies, but was considered reliable prior to this date and could form an integral part of ground breaking studies still raises a few eyebrows. That the older ones might not be reliable after all was agreed by jones but he felt there were sufficient other novel proxies to validate data. Climategate was not Phil jones’ finest hour and I say this as Someone, unlike many here, who has a lot of time for him. He has gone out of his way to help me source material on winds that Hubert lamb originally worked on, even though now retired. Still no quote of anything Mann actually said. Still nothing about what Mann actually said. A lot of this far too lengthy back and forth is nit picking. The bottom line is that whoever spliced the instrumental record onto the proxy reconstruction and deleted the “decline” was abusing science. Hogwash. This is a desperate attempt to put significance on to a single graphic from a non-scientific publication; the nittiest of nits possible, *decades* after the fact, in order to avoid facing the actual bottom line. (2) The current state of the art in reconstructions, building on that, continues to show a clear hockeystick. You have discovered trolling in it’s purest form. Make it unlikely for readers delve deeper into issue. Make the comment section so tedious, readers give up on looking for good points and deeper discussion. Consensus that puts all skeptical scientists together in one consensus is very very wrong. By definition, consensus scientists promote the same theory and any one would have been enough. By definition, the skeptical scientists all disagree with the consensus scientists, but they also disagree with each other. There is not just one skeptical theory. You would need many more scientists to represent skeptical theories. There are lukewarmers in your skeptic list, lukewarmers are not really skeptics. They all agree with the alarmism to some percent. If you defeat one consensus scientist, you have defeated them all. If you defeat one skeptic scientist, you have defeated only one. Interesting that for all the warmists’ criticisms of skeptics not being a “real climatologist”, not a single person on the consensus list has a PhD in climatology. Dispense with the absurd dichotomy. That degree has not been around that long, the list is those who teach alarmism, not people who received a degree in it. Some of them were teaching alarmism about global cooling before they realized that was not working and then they switched to global warming. That was also not working so they switched to Climate Change, that will always work. They use the term Climate Change and they leave out the Man-Made in Climate Change because they know that does not work. Man-Made is implied and their primary audience sees it that way. Other audiences are not as offended when they leave out Man-Made so much less opposition is stirred up. One Climate Professor told a group of us who disagreed that we would not pass his basic freshman climate course. Of course not, you do not pass if you question anything they teach. It is a sure bet that a graduate of a climate school agrees with their consensus or they would not be a graduate. Of the numerous brilliant observations you have just made, I question but one. “If you defeat one consensus scientist, you have defeated them all. I’m not sure it’s about winning or losing. Although I understand what you mean. I wonder how many of those previously sitting on the fence got pushed over because of the attacks. My thoughts on the list? I couldn’t stop laughing at the listmakers for a) the absurdity, b) the arrogance, c) the bias, and d) the lack of scientific understanding of how the climate works. Excuse me? In the interest of rational debate we want you to come to the table but we want it a 2:1 debate? We’ll play baseball with you but you only get half the players– in the interest, of course, of our supposed ” non-obligation”? What the heck is that about? If you’re going to debate, then debate. If you want the truth, then debate. If you want to have a pretend debate so that whatever the outcome you can say “see, look how fair that was!” then just make it 10 to one so people understand where this is really going. Either debate or don’t debate. Please don’t pretend debate. Either you believe in reason or you don’t. How hard is that? Skeptic debaters should insist on a level playing field or else refuse to debate. Then they win. NO, debate at every opportunity. Debate in a fair debate!! Either take five off their side or put five on our side. If we back off from this then they win: the same nonsense continues over and over. Is it a rational debate or is it not a rational debate? If it’s a rational debate, then you don’t stack it 2:1 for the side that you suppose is the winner. The entire issue revolves around bad logic and bad science. Add bad debate to this as well? So we can win? Everyone already knows what the alarmists will say, it is always much the same, people are interested in other thoughts, or at least, some people are. If you win or lose a debate that is rigged against you from the start, that does not matter much. What does matter is that you said something that causes someone to to think about a different idea. The payoff may be later, even years later. I attended a regular meeting for about a year, some years ago, we got agreement finally, there was no indication we were making progress for a long time. Never turn down the debate. Einstein was right, if 100 scientists are against you ask why one isn’t enough. There is in this list so very little inclination to consider dynamic interactions – Wally and Judith are obvious exceptions on either side of the arbitrary divide of this list – or to acknowledge the limits of knowledge that make ESS so intrinsically fascinating. In the media there is not a clue – and in the great unwashed climate blogosphere there is perhaps a glimmer in some quarters that these questions even exist. The nexus of dynamic complexity and the ignorance of science leaves us on the horns of a dilemma that science cannot solve. Emissions are being addressed pragmatically across a plurality of gases and sectors with a plethora of technologies and systems – underpinned by economic growth and development. The bottom line is that the right policy questions to ask now are not scientific but about appropriate responses to diverse human and environmental challenges. I sure hope that some segment of the scientific community is engaged in monitoring the “track record” over time (and likely over a long time) of those climate prognosticators who are demanding changes in the socioeconomic order. If science has an historic shortfall it is lack of institutional memory of those who “got it wrong” and the reasons for their doing so. If we’re to learn from our mistakes as a species it will be important in 10, 25, 50 or 100 years to be able to point a finger at today’s miscreants and why they used science incorrectly. I can’t help but think that what’s going on in climate science today harkens back to the years of the Spanish Inquisition. Hopefully with climate science the infamous will be as well remembered as the famous. hope that ten years from now congress votes a large sum to fund a study by sociologists of science to name-and-shame all the promoters of this baloney, including all prolific internet bloggers and commenters. Their agnorance will fill the equivalent of many amusing volumes. Not sure if it’s sadder that there even needs to be separate lists, or that skeptics are grateful to be half-represented. Yes! Stand up, people! Don’t be so easily rolled. Bill: But here, let me tie one hand behind your back. Jim: OK, that’s fine. At least people will see that I can fight! And that I’ve got a mean right hook. Bill: Glad you agree, sucker! So if there are 15 speakers and each gets equal time, then that means that five speakers speak in total as long as ten speakers total? Because that’s the new math or what? I think the article is an interesting and brave foray into characterizing the issue for the public, and likely the profiles of the various scientists will be useful in that regard anyhow. Just to know there are indeed some skeptic scientists may be news to many. Yet it suffers from the same misconceptions about where the lines of argumentation actually lie and what the ‘mainstream’ is, that the public (and many in authority too) likewise hold. The article includes this: ‘…those who support the mainstream position that anthropogenic climate change represents a grave threat to the future of humanity…’ But assuming that the IPCC AR5 Working Group Reports reflect ‘the mainstream’, this position, or ‘the consensus’ as they later equate the mainstream science to here, does not in itself support such an outcome as a matter of near-term (several decades) or high certainty. Per AR5, is not an outcome severe enough to threaten the future of our whole race (i.e. survivability) a matter of very low chances, glimpsed through rows of caveats and hedges and coincident factors. The quoted text is ambiguous in this regard, as is usually the case; but written this way the default interpretation is one of high certainty (absent major emissions cuts), indeed typically this is the public interpretation. Without further explanation to lay folk, why would it not be? In light of this, James Hansen for instance is not in the mainstream. He is in an unofficial fringe on the opposite side of the mainstream to skeptical scientists. Yet he is indeed one of those climate scientists most well-known to the public, perhaps *the* most well known. Yet the emotive views he espouses in public regarding his own science are very far from alignment with the mainstream, e.g. ‘Imagine a giant asteroid on a direct collision course with Earth. That is the equivalent of what we face now, yet we dither taking no action to divert the asteroid’ (2017 interview with Guy Raz). This indeed powerfully messages a high certainty of near-term threat to the future of humanity, consistent with the above quoted text. It is not surprising that the public have a skewed view of what the mainstream does actually represent. No doubt Judith will correct me if I have this wrong, but I’d imagine she is closer to the mainstream than Hansen. The mainstream is a broader Earth System Science perspective. Are readers generally aware that the IPCC 1990 temperature chart above showing the MWP (often replicated by skeptics) was based on a chart in a 1981 paper by James Hansen? His chart was based on three temperature sets: CET, one Greenland proxy and another proxy. The IPCC accepted it as the norm. If it was not Hansen, please correct the information I received. Simply stated, we maintain that appeals to authority and scurrilous ad hominem attacks are no substitute for rational argument. The prolific CE troll should take notice of this – but of course there is no chance of that happening. The most obvious question is: why include only the scientists who study and project future climate changes? Why not anyone who researches and projects the impacts of climate change – i.e the climate economists”, e.g. Where is Henrik Svensmark? He’s the likely Nobel Prize winner in the bunch. I think you should agree to the imbalance so long as both sides get equal time. If they don’t allow this, just keep pointing out the fact in the actual debate. I can’t believe I have to point out what a dumb idea this is and I can’t believe how many people think it’s a good idea. How many more filing cabinets full of worthless global warming alarmist research do we need? This is nothing more that bowing to the further politicization of the weather. UN climate summits are a wonderful forum for Leftists angling to secure more funding to save the world from the evils of capitalism, modernism, energy, oil companies, energy– parking their private jets in venues like Cancun and Monaco where they sip champagne and drink their margaritas and eat brie and baguettes… all paid for by the poor and unemployed. Michael Mann’s hockey stick science and Al Gore’s vision of Earth-destroying runaway global warming have already been thoroughly debunked. It has all been the product of a knowing and purposeful deception– a scientific fraud. A big hoax! There is no need to sift through the ashes and look for further evidence that Western Academia stabbed America in the back and sacrificed scientific integrity and honesty on the alter of Leftist ideology. Where are we now? No one with a brain buys into the old charade of a supposed 97% consensus of opinion concerning an impending calamity that we all face due to human-caused global warming, right? The Left’s apocalyptic vison of modernity has been dashed. Rational people need to prepare address the reality that the future is always uncertain and discuss ways to adapt. None of the global warming alarmists hypocrites are willing to make that commitment to reason and common sense. It’s good to know there’s still critical thinking occurring. I hope this is a sign for increasingly wider engagement in challenging status quo consensus science. The reference to Voltaire’s classical liberalist quote is interesting, “I disagree with what you say, but I will defend to the death your right to say it.” This too is a conservative line; but then again classical liberalism is the root of libertarian/conservative political thinking. It’s interesting because I come across so many who believe classical liberalism is an anachronistic variant of social liberalism, but the two are antithetical in core tenets, the former is the basis for individualism, the latter is the basis for collectivism. Yet so many leftists confuse history with help from academics who grease the skids by writing outlandish wikipedia definitions to redefine history. When Marx criticized capitalism and the liberal democratic state, he was critiquing capitalism/classical liberalism, not social liberalism which methodically, through the march of time, today, virtually equates to Marxism. It’s fascinating piece of political obfuscation of history. Hayek may not have agreed that Voltaire’s quote was at the root of conservative thinking. Perhaps, but even the greats had fallible biases and prejudices. What Hayek is describing is actually an innate human failing that crosses ideological spectrums. Working with others moral values is a relative phrase, but where the issues are near the middle of societal acceptance it should be conducive to finding common ground, that’s my opinion. But converse to Hayek’s expressed belief, I don’t believe you would suggest that there’s only a few extreme ideologues of the left who would not be inclined to work with a conservative either. Zealots of all walks are what makes politics difficult, they’re societies squeaky wheel, they get most of the media attention. Most people who are not on the extreme ends of the political spectrums have certain beliefs that are accomodative. Having said that, while nothings perfect, capitalism and individual freedom has done more to raise global living standards, where it’s practiced, than any form of socialism or communism. Individualism and liberty were key tenets of classical liberalism. The lines have been intentionally blurred by academia to the distinctions between social liberalism and classical liberalism, and between a social democracy, pure socialism, and fascism. If this continues there will be trouble because true socialism can’t coexist with capitalism; millennials don’t know the difference. What Hayek had in mind – in the context of the publication quoted – was an intellectual commitment to democracy and the rule of law primarily. When it was written the fruits of fascism and socialism – your common human foibles – were all too evident in slavery and murder. Slavery and murder have never not existed. Respectfully, I’m not trying to argue Hayek, he was a great man. I disagree with his distinction per your quote only in the context of what I present. The U.S., for example, was founded by classical liberals; they had “commitments” towards a small federal government, liberty, freedom, rugged individualism, limited taxation, religious freedom, separation of powers, laws, etc. The left will, in colloquial fashion, say the founders were liberals without distinction as to what type of liberal. There’s a reason for that, it’s not a lie to say they were liberals. Essentially, knowing the basic tenets of their beliefs, what ideology does the U.S. founders beliefs align closest to in todays politics; social liberalism, or conservatism/libertarianism? Classical liberalism is simply obsolete lexicon to the latter. The American liberal is far from liberal. And it was the industrial scale of slavery and murder in the 20th century that was novel. based on strands of Plato, Hegel Marx. Beththeserf, thank you for posting your wonderful essay, it’s an engaging read. Trivia: Mitchell and Bengtsson both at Reading – might be some interesting discussions there. I’m 76 on Saturday, interesting to find that most named are of similar age or slightly older. Howay the oldies! Or, at least, those on the right side of the debate. Happy birthday, Michael. I hope you keep contributing for another 76 years!. Yours are some of the best contributions due to your wealth of experience in rational policy analysis, development and advice to prime minsters in UK and Australia, and to your training at London School of Economics, and to your contacts with top economists now dispersed around the world. ordvic, thanks, junior, enjoy your day! And I am 77 on that date, Junior. Geoff. Tell the people in Congress or EPA that the debate has been shut down in favor of the consensus. It is patently not a true assumption where it matters. See the policies being enacted as we speak. Consensus nowhere in sight. The debate has been shut down, but not in the way it is portrayed. Skeptics playing the victim is just ironic with this background. It’s post-truth politics in action. Please provide shreds of actual evidence for your assertions. I think you cannot. And think blog comment catterwails such as yours are pathetic.. In this country, climate science lives and is healthy in universities and government labs, but not heading key committees in Congress or at the top of the EPA where there are a whole lot of doubters with fossil fuel connections. If you ask them, they don’t believe the consensus, nor does it pay them to, and that is where it matters, so the policies end up favoring the fossil fuel industry, and no one is surprised. Somewhere along the line, science got beaten out by special interests. So the notion that skepticism is being suppressed is the opposite to what has happened here, and that is obvious to anyone who has been paying attention to US politics. It’s unique globally. From the article “For all of these reasons, we deplore all attempts to use political muscle to shut down academic debate”. That’s what happened, and then they pulled out of Paris and went coal-happy. They left you off the list. And that’s a reality of the public response. The average American goober and probably world goober doesn’t recall much scientific understanding. So they say: “I’ll go with the experts”. Unfortunately, they also can’t distinguish between global warming and catastrophe and conflate the two. Better course? Demand validation of forecast claims, particularly any catastrophic or even harmful claims and in context of ‘normal’ catastrophes and harms. In terms of getting equal time for discussion, a group of mainly geoscientists have just written an open letter to the Geological Society of London asking that they host a forum to facilitate public debate of the society’s position on climate change. The letter was signed by 33 current and former Fellows (as members of the GSL are called) and 31 ‘concerned’ colleagues. What they are all concerned about is that the society’s position on climate is too important to be left to a small group of apparently consensus geoscientists, however well qualified and well intentioned. Our suggestion is that the forum be modelled on a workshop run by the American Physical Society in 2014 (https://www.aps.org/policy/statements/upload/climate-review-framing.pdf AND https://www.aps.org/policy/statements/upload/climate-seminar-transcript.pdf). We are requesting this not because we believe we are right, but because some parts of the society’s previous position papers on climate change might just be wrong. The issue is too important not to be thoroughly explored. Not much is likely to happen on the climate front for some time. It’ll be several more years before we see if there’s much of a GAT step change following the 15/16 el nino’s. Steps don’t look likely to be big enough to put CS in the high range, we’d basically need persistent el nino conditions for that. Another decade or two and we’ll have some good spatial data on CO2 from satellites. That should lead to some interesting studies in a couple years, showing seasonal changes in GHE at various altitudes and latitudes. OHC is peaked – highest level in the ARGO era, and the recovery after the recent EL Niño dip was rapid. 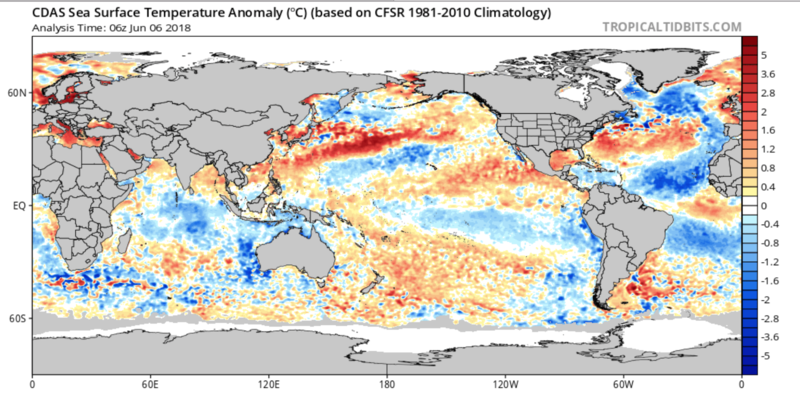 The North Pacific is heating up; Central Pacific soon to follow. The Atlantic is cold, but who cares what that piddly little ocean does. It could carry El Niño conditions into 2020. While it is true that the Atlantic is roughly half the size (area or volume) of the Pacific, it is not small enough to be insignificant. Coming in at roughly 25% of the area or volume of the total, means that it is statistically important. Maybe in climate science ignoring a quarter of something is considered to be good practice, but that can only be really true if your numbers already have errors in them that are greater than 25%. Then again when you look at the fact that ECS is estimated with a range of 1.5 to 4.5, which if taken from the median is an error of 50% then just ignoring 25% of something might seem compelling. It would still be bad practice, but if you want to swallow that elephant then one bite at a time is the tried and true method to do it. Argo and the El Nino dip? And the NH is warming as summer commences? Who would of thunk it. Yes, the blob was just summertime. How’s your continuing La Niña doing? LMAO. Something is likely to happen with ENSO in the Austral spring. But relying on someone who is so completely wrong on the basics – a glaring example of motivated reasoning – is not the best idea ever. Murry Salby should be on that list. Only 6 of the 15 were born after 1950: 3′ consensus’ and 3 ‘skepticals’. After several decades of generous funding of research into human impacts on climate Best Schools was only able to think of 3 prominent ‘consensus’ climate scientists of normal working age, the youngest – at 52 – being ‘Disgrace to the Profession’ Michael Mann. Are good young scientists avoiding this field? Actually, I think a far better list of consensus scientists could be accomplished with a list youth movement. Yup.. the bench is deep and wide. Josh Willis needs a category of his own. That category is creative statistics. Specifically, “Changing the mean of a distribution by chopping off it’s tail”. Peter Lang, from that link: The descent of climate change into the abyss of social-justice identity politics represents the last gasp of a cause that has lost its vitality. Climate alarm is like a car alarm – a blaring noise people are tuning out. BTW, wrt Dr. C, is the Stadium Wave breaking? Obviously, this is only a snapshot and things are messy and change. Yes, at zero hour forecast, it is a diagnostic model, not a prognostic model. But the fluid dynamics of loss are interesting. Also to note the difference between the models. Like all data – in your own words. Very interesting ==> Not so much “the list” — so many good and equally valid choices could have been made for either of the two lists — but the fact that a list would be made in the first place and that such a list would specifically, intentionally, in a in-your-face manner include a section of “skeptic” climate scientists. The bios attached to each make strikingly clear that skeptical Climate Scientists are not kooks, quacks, disgruntled post-grads, conspiracy theorists, stupid, deluded, mentally ill or any of the other disparaging labels that have been assigned to them by the men on the Consensus List. They, the skeptics, are every bit as academically and professionally qualified as those on the consensus side. Making this statement so very publicly should go a good distance in correcting the view of the general public — and hopefully will embarrass the consensus people whose consistent and seemingly unending attempts to vilify and sideline their skeptic colleagues are seen to backfire when the facts are placed before the people. A hearty “Well Done!” to The Best Schools. “Although it has failed to produce its intended impact nevertheless the Kyoto Protocol has performed an important role. That role has been allegorical. fight culture wars over competing social and ethical values.49 Nor is that to be seen as a defect. Of course choices between competing values are not made by relying upon scientific knowledge alone. What is wrong is to pretend that they are. The narrative – superficially in the objective idiom of science – talking points on both sides are displayed as emblematic symbols in a ritualistic warfare. Again and again the same talking points with no end in sight. And – from the perspective of this troll – not an inkling of why this is not science and how ridiculous you all are. Climate change is over. No, I’m not saying the climate will not change in the future, or that human influence on the climate is negligible. I mean simply that climate change is no longer a pre-eminent policy issue. All that remains is boilerplate rhetoric from the political class, frivolous nuisance lawsuits, and bureaucratic mandates on behalf of special-interest renewable-energy rent seekers. Judged by deeds rather than words, most national governments are backing away from forced-marched decarbonization. You can date the arc of climate change as a policy priority from 1988, when highly publicized congressional hearings first elevated the issue, to 2018. President Trump’s ostentatious withdrawal from the Paris Agreement merely ratified a trend long becoming evident. A good indicator of why climate change as an issue is over can be found early in the text of the Paris Agreement. The “nonbinding” pact declares that climate action must include concern for “gender equality, empowerment of women, and intergenerational equity” as well as “the importance for some of the concept of ‘climate justice.’ ” Another is Sarah Myhre’s address at the most recent meeting of the American Geophysical Union, in which she proclaimed that climate change cannot fully be addressed without also grappling with the misogyny and social injustice that have perpetuated the problem for decades. The descent of climate change into the abyss of social-justice identity politics represents the last gasp of a cause that has lost its vitality. Climate alarm is like a car alarm – a blaring noise people are tuning out. The equally important metric is “social cost/benefit.” CO2 is a hard metric, but social cost/benefit is mushy and subject to partisan distortion. The editorial in today’s WSJ is informative. This may be the Achilles heel of Michael Mann and alarmists. Plugging in bad numbers to ramp up agendas can be deflated by putting more realistic numbers. Better yet, stick to what the law calls for – environmental and economic analysis. I realize this is an area ready for debate but worth challenging the sleight of hand trick of the last administration in distorting what the environmentsl/economic law was intended to be. Here’s an interesting news item. The same few names show up every time. I wonder why. “David Schnare, a member of Trump’s EPA “beachhead” team, prepared a document in February 2017 that listed administration priorities, including reopening the endangerment finding, which allows EPA to regulate greenhouse gases and is a foundation of many environmental regulations. Schnare wrote that they would gather a group of researchers who claim humans are not the primary drivers of climate change as part of the effort to pull back the endangerment finding. “We bring on contractor support (Judith Curry’s group, supplemented by John Christy, Craig Idso, Roger Pielke, and others) to formulate analysis of the science,” he wrote in the detailed plan. Jim D, I would say that yes, there’s a lot of circumstantial evidence that CO2 might be raising the temperature. But I don’t see any direct evidence. In particular, as we’ve discussed before, there seems to be no experimental evidence that an 800 ppm CO2 atmosphere will warm a volume beyond one with no CO2. It may be that it does, but there is simply no experimental evidence to prove it. I find that lack of experimental evidence remarkable. In fact solid experimental evidence, such as what Christy has shown and what the Connollys have done, is demonstrating that CO2 has virtually no effect on the atmosphere. So now we say, well that doesn’t matter because CO2 raises the emissions height and that’s the important thing, and I can’t refute that except to say that I seriously doubt it. It’s simply another assumption and one that’s hard to prove; it works great in theory, yes. I see it as simply another slight-of-hand to convince us all that no matter what else we find that CO2 isn’t doing, it really is doing something. I don’t buy it. Beyond that, to my mind nothing is happening in the world today that gives any evidence that CO2 is acting like people suppose it is, or even as some scientists say. It’s a groupthink truism that global warming is killing reefs, for example, but I can tell you, as someone who has looked at this closely, that this is just pure junk science: it ain’t happening, period. The fact that scientists are making the untrue claim that the Great Barrier Reef is dying due to global warming makes me highly suspicious of the motivations of the scientists who are saying this: do they know how to do science, do they understand causality, are they sloppy, or are they just plain too lazy to think for themselves? You tell me. Or Miami Beach flooding, another pseudoscience favorite of mine. As someone who has studied and practiced stormwater engineering my reaction to complaints of global warming as the cause of flooding in Miami Beach is: does anyone down there understand what impervious surface does, and where stormwater goes? What happens when we add more impervious surface in low-lying areas? Does anyone understand subsidence? Give me a break. I think the scientists complaining against the mainstream are upset at the groupthink and the appropriation of causation that climate science seems to thrive on, and are courageously speaking up. The sooner this pseudoscience ends, the better for all of us. What I find remarkable is your lack of knowledge of instruments that directly measure the spectrum of infrared in the atmosphere and that show the absorption lines due to GHGs. Some of these have even been put on satellites. Google around a bit. Infrared spectroscopy. So CO2 absorbs and emits infrared within a narrow range. Big deal. That’s supposed to overpower other natural processes and change atmospheric temperature? Evidence of which is where? Don132: That’s supposed to overpower other natural processes and change atmospheric temperature? NO. It’s another factor that may have a consistent, measurable (or estimable) effect. The consensus estimates of size of effect (e.g. 90% CI 1C – 4C warming per doubling of CO2) clearly does not “overpower” other documented processes. Saw this comment elsewhere when I posted on the list. Apart from being ageist , which is nothing to do with science or thought, you miss the fact that luminaries are leaders in their field usually because they have done the many years of work to get there. If you take the 10,000s of climate scientists who are “consensus” scientists and compare them to the 100s of skeptics, I do think you’d get an age difference. It is getting harder to get funding from oil and gas, and younger scientists do not want to ruin their reputation with absurd segues that muddy the waters. There’s a reason there is a consensus: it’s a lot harder to manipulate your work to show anything other than the basics we all know: earth is warming, CO2 is the primary forcing. BS!! The old canard: the only reason these people disagree with the consensus is because they’re paid off. This is an easy and dismissive rationalization so that we don’t have to actually think about what they’re saying. The reason younger scientists follow the crowd is because “climate change” has been drummed into them since high school and they know they’ll be vigorously attacked if they step out of line. Want to get into grad school? And you’re a vocal skeptic? All the mainstream scientists are sterling examples of rigorous science that doesn’t interject advocacy claims into research or conflate causality? Not from where I’m sitting. Earth is warming very slightly, in line with natural variations. We can only speculate on the cause(s) of this, except not climate scientists: they’re going to take an assumption and a speculation with no solid physical evidence behind it and elevate it to a position of irrefutable certainty. Why? Because that’s what mainstream climate scientists do. They take speculations and plug them into models and show them to the rest of us so they can scare the bejesus out of us– and get more funding, too. Talk about who’s “paid off” to promote a point of view! The sooner this pseudoscience dies, the better. Oil and gas are funding consensus scientists. Wake up. BS right back at you. Nothing is being drummed into them. In the 1990s, a large number of high school science teachers openly trashed global warming. So did TV and radio weathermen. Al Gore was the ozone man. The reason very few younger scientists are skeptics is simple: observations and equations and laws, etc. Science. JCH– nothing is being drummed into them? Are you serious? The 1990s were the 1990s; good luck being a high school skeptic today. Science? Don’t you mean making assumptions and then confirming your biases with observations? To a hammer everything looks like a nail. Look around you: people saying everything under the sun is caused by global warming. Reefs dying? Global warming! Forget about overfishing and pollution from human wastes, which are by far the main causes of reef decline. Worried about reefs? Stop overfishing! Period. The relationship between overfishing and reef decline is clear; fish graze reef algae and that’s the healthy relationship. Take away grazing fish and reefs decline: this is well-established but no, it’s gotta be CO2 because we believe that it’s gotta be CO2 and so Leonardo DiCaprio can make a movie about it. True believers don’t one care about real causes; what they care about is beating the drum against CO2 and imagining that it’s causing all these catastrophes. Meanwhile real data on the atmospheric temperature profile contradicts what everyone supposes must be happening, but do they care about that? No. They care about confirming their paradigm and feeding their paradigm and maintaining their groupthink biases. Nothing is happening! Sea level isn’t rising precipitously, reefs aren’t being poisoned by CO2 warming, the troposphere isn’t warming as predicted, the atmospheric temperature profile isn’t distorted according to the infrared cooling models that are used in GCMs, the oceans aren’t becoming “acidic,” the arctic isn’t warming in any way that hasn’t happened in centuries past according to historical data, Antarctica isn’t melting, and Greenland ice records tell us that “rapid” climate changes have happened in the relatively recent past. Nothing is happening except climate doing what it does. To a hammer everything looks like a nail: that sums up your observations and equations and laws. It’s called paradigm-confirmation bias and it’s the basis of pseudoscience. In the 90s, high school science teachers were largely scientists. They’ve retired and been replaced by finely credentialed masters of “education”. In the mid 90s, the global warming doctrine was in text books, but only got passing mention. Students were naturally skeptical of the implication that it was bad thing that needed to be stopped, but that was a math and science magnet school. By the mid 2000s, kids were being fed doctrine in elementary school, even my cousins’ very conservative community. I remember driving with them on a camping trip, kindergarten aged son was playing with a propane tank. Got him to stop by telling him it was a GHG he wouldn’t want to let out. My millennial friends are so indoctrinated, it’s hard not to openly laugh at them when they talk about it. It’s sometimes fun see the lengths they’ll go to to hold onto the belief. One friend actual had her degree in promoting activism, working on her phd in frickin’ manipulating people with climate change. A couple years ago, when I told I thought the negative consequences of global warming are highly unlikely to outweigh the benefits, I used global greening as an example. She promptly told me (really herself) that greening is highly uncertain and only based on lab studies. She didn’t realize that comment and study I posted which prompted her to ask me about it was an analysis of lab studies and satellite data. Another, when I explained the possibility of benefits and uncertainty of harms convinced himself of harms with an WaPo article on food production problems and desertification in Africa, the article specifically attributed the problems to policy and land management problems. When I pointed that out, he (rhetorically, this was online) threw his hand up and declared himself winner. On the hand, my more hard science focused millennial friends tend not to mention CC and stay quiet when it is (as do I). JCH: prove that CO2 is having any effect whatsoever on reefs through a solid causal chain. You can’t do it. Yet it’s plastered all over the news. Assumptions and speculation, with no causal foundation, masquerading as the irrefutable truth. That’s mainstream climate “science” in a nutshell. Not true at all. Same education courses, same degrees, same everything except for the advance of science. Of course they teach the additional knowledge gained since the 1990s. Same undergrad degrees, same masters degrees, same doctorate degrees. I think you’re pretending that your gut feelings are more important than the reality. For all of these reasons, we deplore all attempts to use political muscle to shut down academic debate. All climate change is natural and follows several natural cycles. The mechanism regulating such cycles is primarily to do with variations in cloud cover which in turn are affected by variations in cosmic ray intensity. As solar activity increases the heliosphere expands and this reduces the influx of cosmic rays entering the inner Solar System. Magnetic fields from the planets also affect cosmic ray intensity reaching Earth because they can alter the paths of such rays. I will soon be framing a Freedom of Information question seeking internal documentation relating to any attempts to pay due diligence in checking what was totally false physics originating in the early 1980’s from a small group of overseas climatologists. It all hinges on the false claim that Earth’s mean surface temperature can be explained by adding to the solar flux of about 168W/m^2 a further flux of about 324W/m^2 from the colder atmosphere, that flux including some radiation from carbon dioxide. But radiation from different sources cannot be added like that to determine resulting temperatures. The required input of thermal energy needed to warm the surfaces of planets like Earth and Venus on their sunlit sides is primarily supplied by non-radiative processes that have nothing to do with carbon dioxide concentrations. Your physicists cannot prove otherwise and they certainly cannot produce any established physics supporting the compounding of radiation, let alone any empirical evidence. Nor has anyone at the CSIRO produced empirical evidence of either of the “greenhouse” gases water vapour or carbon dioxide actually warming the Earth. In fact empirical evidence clearly shows that water vapour cools it. My 2013 paper “Planetary Core and Surface Temperatures” and my other two papers support what I am saying and, for the first time in world literature, present the correct physics which does explain the necessary heat transfers and resulting temperatures on Earth, Venus and even at the base of the 350Km high nominal troposphere of the planet Uranus where it is hotter than Earth’s surface despite being many times further from the Sun. Please forward this email to those involved and refer them again to my papers at https://ssrn.com/author=2627605. Where the money for it comes from, and where the funder’s interests lie, has no effect on who and what gets funded. So you think that Heartland is there to promote science? Thats about as gullible as it gets. You seem to be one of those who thinks that every single scientist (except Heartland) is faking results to get funding. That’s statistically impossible. Your line of reasoning: Scientists are all wrong because they get paid, except for political organizations like Heartland who get it right every time. Smoking really is good for you. And you thing the government is “there” to promote science as well? FYI, the government promoted smoking back in the early 1900s. Also sugar consumption, even to this day. Whatever Heartland is there for, anyone even vaguely interested in the truth should be hugely thankful it exists. For without the likes of Heartland, we would never hear any opinion other than the self-interested government one that taxpayers are forced to finance, and that is untold orders of magnitude greater than the minuscule private funds behind Heartland’s critiques and forays into climate science. As regards your strawman : my point is that where the funder of a science has a vested interest in it coming to a specific conclusion, is is virtually impossible for objectivity and proper science to prevail : self-interest in funding decisions will out. As it was with tobacco companies’ research into smoking, so it is now with government research into climate. Skepticism regarding the integrity – of both – is appropriate. Credulous acceptance of anything with “science” in the name is moronic. And that is why any form of dissent over climate, however rogue you may think it is, is a blessing to society. Whatever Heartland is there for, anyone even vaguely interested in the truth about climate should be hugely thankful it exists. For without the likes of Heartland, we would never hear any opinion other than the greedy self-interested government one that taxpayers are forced to finance, that is untold orders of magnitude greater than the minuscule private funds behind Heartland’s critiques and forays into climate science. Which is why any funding form of dissent over climate, however rogue you may think it is, is a blessing to society. Significantly, three of the ‘consensus’ names were shown by their own leaked Climategate emails to be actively sabotaging the scientific process. Classically, an ad hominem argument is one that flatters the opponent. It also works a lot better. What is today called ad hominem should be contra hominem. rhhardin, is that true? Ad hominem is “to the man,” and it refers to arguments that are directed to the speaker of the argument rather than to the argument itself. For example, when Michael Mann includes Curry among those who are “anti-science” with the intent to discredit her, he is attacking Curry (in this case, “to the woman”) in an attempt to persuade others that she isn’t worth listening to. But in this instance he isn’t addressing any of the arguments Curry has put forward. Ad hominem is a way to deflect from the actual arguments. As those who watched a recent Congressional inquiry know, Mann later insisted that he did not call Curry anti-science, when I believe it was actually in writing that he did so. Climate science is often guilty of the fallacy of selective observation, among many other errors. Maybe pious fraud as well? So, how do we get the debate to shift from the polarized positions of Consensus vs Skeptic to one about how to handle to physical changes that are happening? Glaciers are melting, some faster than others. Sea Level will rise. Hundreds of millions will be affected regardless of their position on this topic. Why don’t we shift the efforts to engineering preparation for changes. The Dutch build sea walls and flood control with 500 year storms in mind. In the US, often with only 50 or 100 year storms. If sea level rises, what are our plans to protect US and world cities from flooding and destruction? NYC and DC and Miami, etc etc all flooded is not a pleasant thought. And how do we get the discussion around freshwater availability to move towards desalinization? Climate, and it’s change in either direction, doesn’t care about us. We have to care about the changes and how they affect humans. Glaciers are melting, some faster than others. Sea Level will rise. Hundreds of millions will be affected regardless of their position on this topic. Why don’t we shift the efforts to engineering preparation for changes. Ice is thawing and it is snowing more now because of warm thawed oceans. Ice is retreating and advancing, the retreat paused, that is why the warming paused. 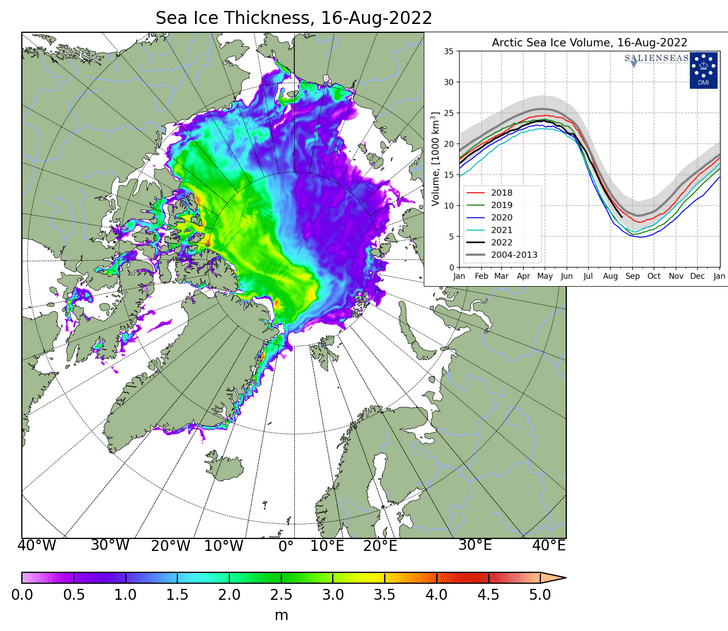 That is why temperature will bounce along an upper bound while ice rebuilds, why sea level will go down some. Do not waste time and money preparing for disaster that flawed climate theory and models forecast, they do not understand climate cycles of the past, they can not forecast cycles of the future. Past data does forecast the future. We don’t really understand climate. We make all sorts of assumptions about sun activity, past climate, etc.– that’s OK, we have to make some assumptions in order to start thinking about things. But then we elevate those assumptions to the status of “certainties” and we make the huge assumption that CO2 and back-radiation are important drivers of climate. We then go out and look for evidence that confirms our belief and call it “science.” That’s mainstream climate science in a nutshell. It’s not a rigorous science; it continually elevates assumptions and speculations to irrefutable certainties. Ugh! To make matters worse people who should know better parade all this out to scare us silly. We’ll never get to the point of focusing on mitigation efforts for whatever climate is doing to us, for whatever reason, so long as we have so many fixated on CO2 as the cause. For them, there is only one problem, one that might lead to runaway disaster, and for them, there’s only one solution.